« Viva Toronto to Ethiopia! More than thirty runners of Ethiopian descent will take part in the Scotiabank Toronto Waterfront Marathon races (STWM) on Sunday, October 20th as members of TEAM P2P. P2P Champions – Messai Gessesee, Ambaye Kidane, Fassil Tessema and Amele Zegwe – are expected to place high in the fundraising results for People to People Aid Organization Canada (P2P). Their motivation is not to further the legendary status of Ethiopian distance running but to champion the cause of children orphaned by AIDS in Ethiopia. Former Canada Running Series Masters Champion (2002, 2003) Lynn Kobayashi is boldly “laying claim to getting the Toronto Ethiopian community running”. A committed volunteer for P2P and Fundraising and Communications consultant, Lynn knew that the Scotiabank Charity Challenge at the STWM was a “perfect fundraising fit for P2P on so many levels”. 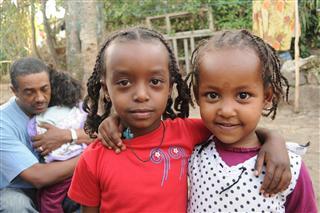 The funds raised will support P2P’s orphan sponsorship program in Addis Ababa, Ethiopia. Of the organization, Lynn remarks, “The dedicated Board members and volunteers of P2P are fundraising ultra-marathoners.” They committed to their first year of participation in the STWM but felt it prudent to continue to hold their annual walkathon this summer. 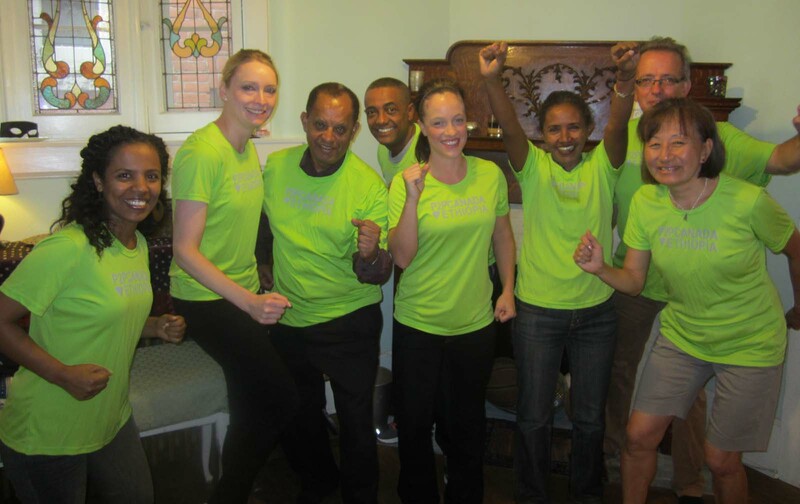 Despite the short time since their last fundraising effort, this small but committed group is on track to meet their dream goal of $20,000 at the STWM with close to $15,000 raised to date by the 50 member team. Get your feet in motion for an important cause. Come run with the Ethiopians! You can still join TEAM P2P contact Lynn Kobayashi to find out how.